Karibu (Welcome), We have arrived! Madeleine: Running as fast as I can clutching Lucas like a rugby ball in my left arm and clenching onto our passports, a heavy laptop filled rucksac weighing on my back and a small (but maximising our weight limit) hand luggage suitcase with Lucas’ trunkie delicately balanced on top, I race through Terminal 5 like a crazy lady to make our flight. Andrew is still at security explaining the geeky contents of his hand luggage and why he needs such an array of gadgets. We made a decision that given our flight’s departure time was in 15 minutes and the gate was 20 minutes away, Lucas and I would try and hold the plane. I arrived at gate C62 to be told they were taking our names off the flight. I pleaded with them to wait and that I would not take them up on their suggestion of leaving Andrew behind and boarding the plane. Madeleine: Whilst begging the British Airways staff to wait and hoping my acertive claim that Andrew was on the next transit train over was true, out of the corner of my eye I saw this spectacled, sweaty mess charging towards us with his laptop rucksac on his back and two more pieces of luggage… “Is this your husband?” In a mixture of relief, delight and embarasment, I shouted, “Yes!”. We were offered oxygen whilst being hurredly escorted on to the plane. 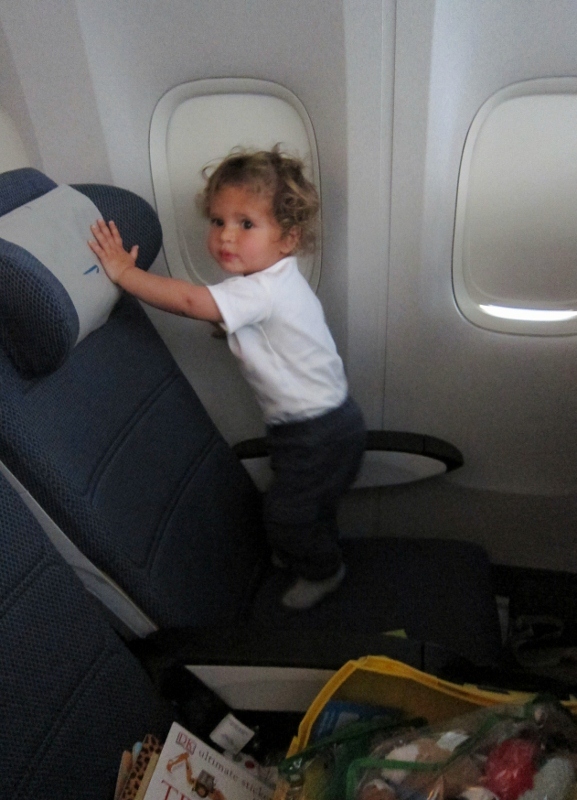 Once on our plane, which had been delayed (ooops) we settled in and Lucas marched up and down the aisle for the best part of 9 hours entertaining passangers and crew. I managed to watch a downloaded episode 9 (semi-finals) of The Great British Bake Off while Lucas had a sleep and Andrew eventually stopped sweating. Andrew: The plane managed to catch up 20 mins lost due to a delayed departure…. We arrived smoothly in Nairobi, Kenya. Our experience in Kenya was a stark contrast to leaving the UK. Everyone could not have been more helpful. Three guys wrote our immigration cards for us and helped us skip to the front of the queue. Four guys then helped us push our six trolleys through customs, amazingly all our luggage had arrived. A good friend from the Ministry of Health had organised two vehicles to collect us and our mountains of luggage. Madeleine: We treated ourselves to a night in a lovely hotel near the airport. We woke to see the delight on Lucas’ face when he could see zebras, gazelles and weaver birds in the adjacent game park. 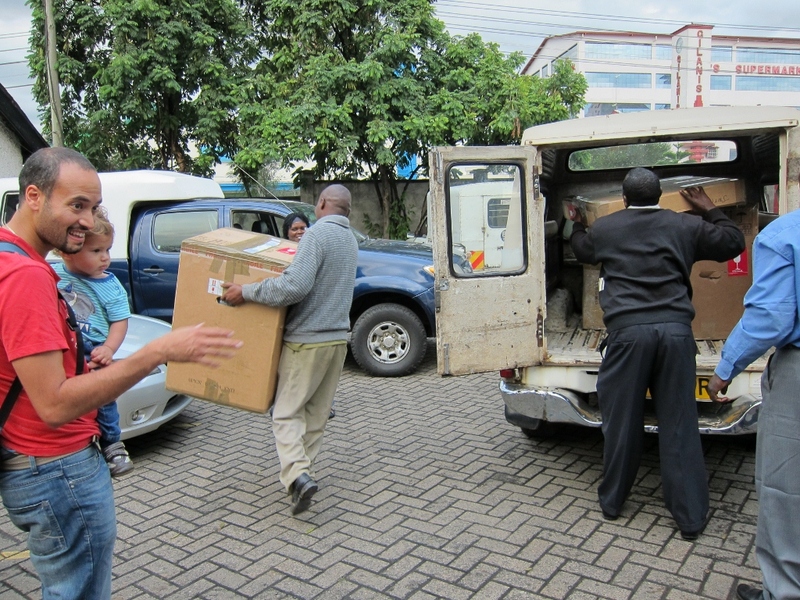 The next day we made our journey to what will be our new home, Nakuru. Welcome to Africa! 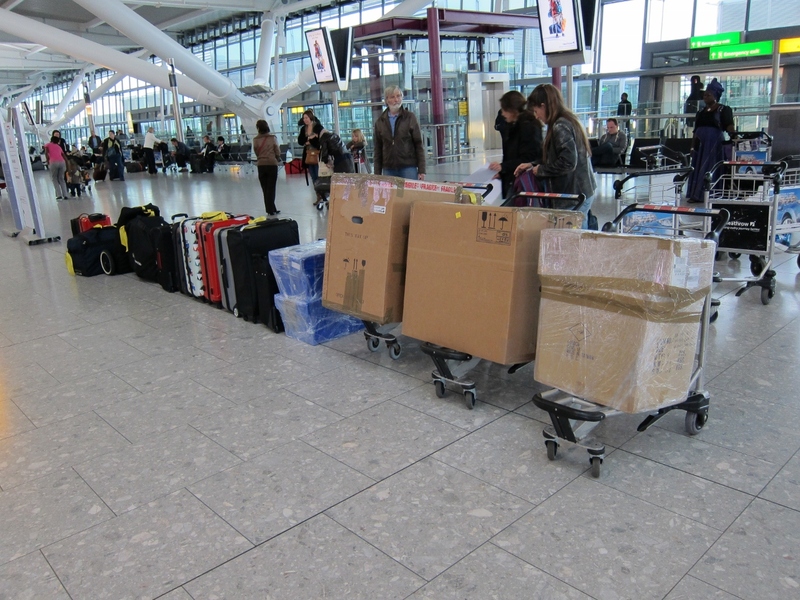 So glad you and your luggage arrived safely – what an amazing journey and well done for being so determined to make it. Yeehaw! A smashing start to a smashing year – keep the posts coming! Some things never change, do they Mad?! I am glad that you all managed to arrive together and with all your luggage intact. OMG!! Stress factor 100%!! So happy people so very helpful when you arrived! And that Lucas loved seeing the animals!! Seems like you’ve had a busy few weeks! Hope you’ve left some time before you start work!